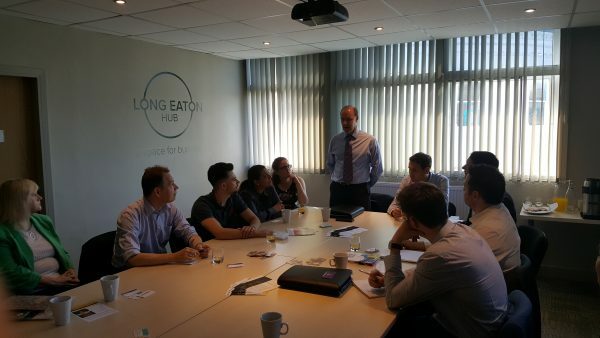 Long Eaton Hub Networking Event – Delicious Networking … the lifeblood of your business! Long Eaton Hub and NBV have combined forces to offer this friendly, informal networking event held on the first Thursday of each month. This event is an opportunity for you to increase your connectivity with Derbyshire and Nottinghamshire businesses and to have some fun! Come and put your business on the map and make those essential connections! Bring plenty of business cards and prepare for your 1 minute business pitch! An NBV representative will be with us to chat with you about the benefits of membership. NBV promote the interests of and support small businesses. More information about NBV can be found at https://nbv.co.uk. Tickets are £10, or give us a ring and let us know you are coming and pay on the door.